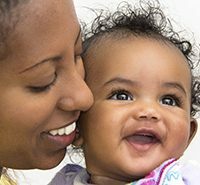 Visits by providers of early intervention (EI) services are as individual as your child, but most follow a similar pattern when services are delivered in the home. 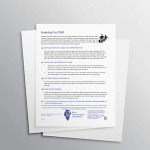 You and your service provider both prepare to work with your child. You and your family are active participants in early intervention visits. You will want to review notes from the last meeting and consider any new information about your child that the provider may need to know. For example, did practices suggested at the last visit help your child? Do you need to discuss changing the priorities and desired outcomes for your child and family? The provider also reviews notes and plans activities and strategies for the visit. 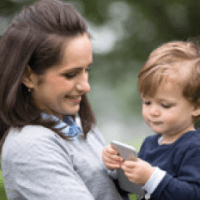 You and your service provider actively work with your child. You can expect the provider to arrive on schedule. You spend a short time talking about your child’s progress and the goals for this visit. Then the provider, your child, and you are ready to start. With your desired outcomes in mind, the provider will show you ways to work with your child and help your child learn. You and your provider will work with your child to increase your child’s participation in daily activities. Your provider may watch you with your baby and give you new ideas and show you ways to support your child’s participation in daily activities. Feel free to ask questions about how and why these strategies were chosen and how you can use them in daily activities between visits. The provider also watches the ways in which family members interact with the child. This enables the provider to offer supportive feedback to the family. She may also notice areas where additional support is needed. The provider may show and discuss additional ways to help your child move toward the identified outcomes. You and the service provider discuss the child and the visit. You may share information with the provider about your child’s progress and general development. The provider may suggest services and supports that your family might find helpful. Your provider helps you plan ways to use what you have learned during the visit as part of daily life with your child. You and your provider plan the next visit. You can discuss information that would be helpful to share at that time. Schedule a date and time that works for both of you. Try to find a time that works well for your family.